The Folding Scooter is lightweight and easy to transport. Simply use the remote control to fold and unfold. Top speed of 4mph and maximum range of 6 miles. Supplied with batteries. A simple press of the remote control and the Folding Scooter can be easily folded and unfolded. It is lightweight and easy to transport making it the perfect companion for travelling. Weighing just 20kg it is ideal for taking on cruises, flights and coach trips. With a top speed of 4mph and a maximum range of 6 miles the folding scooter is the ideal transport solution for users on the go. Additional safety features include auto stop function, anti-slip footwell carpet and speed reduction when cornering. 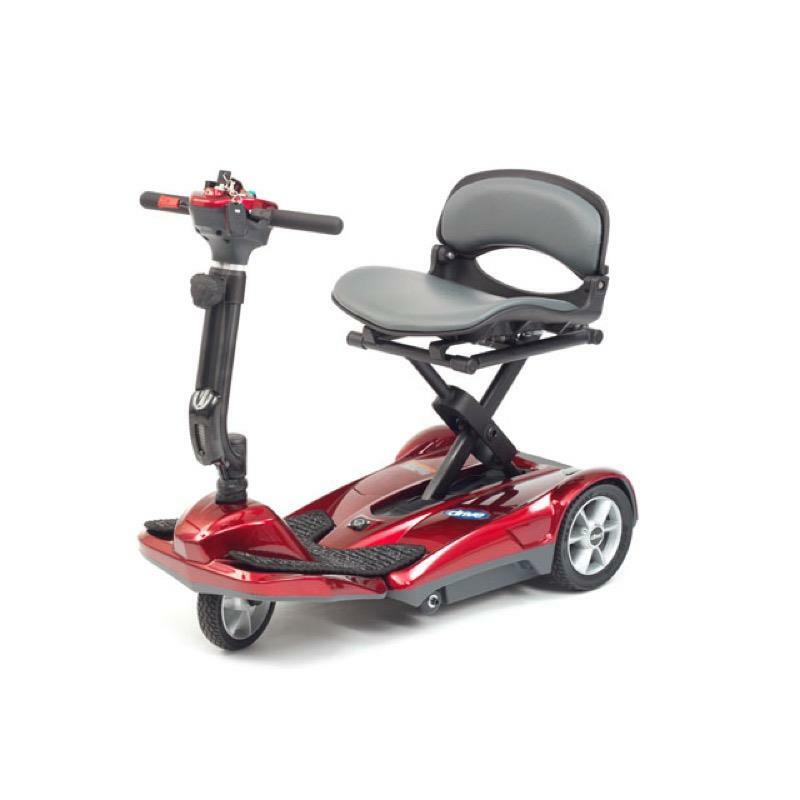 The scooter folds to a compact size and is desgned to fit into small car boots. It comes complete with a padded carry bag to protect the scooter whilst in transit.